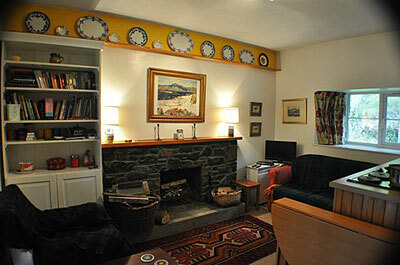 Home Staffa Cottage, Gribun, Isle of Mull. 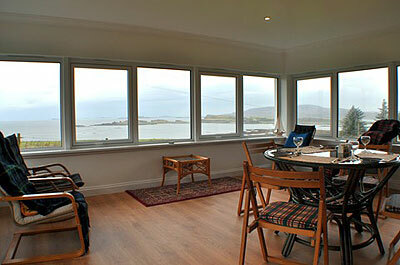 Staffa Cottage, Gribun, Isle of Mull. 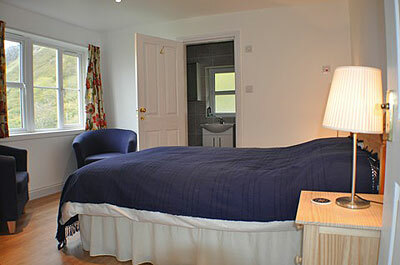 A classic But and Ben holiday cottage tucked under the imposing cliffs of Gribun with outstanding views to sea. 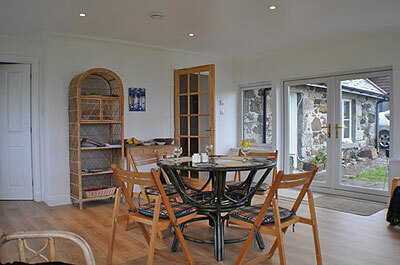 Situated 300ft above the sea the cottage faces south-west and has an uninterrupted view (photo) over 180 degrees of sea-scape from the Ross of Mull and Iona to the Treshnish Isles and Ulva. One double bedroom with en -suite and shower. Kitchen living room with wood burning stove and double bed settee. Hallway has stair to attic. : Water is heated by electricity. : Washing machine in bathroom. : Telephone, broadband and TV with Freeview. : Garden is about half an acre, fenced, mostly lawn. : Room for 3 or 4 cars in the driveway. : Barn with freezer, microwave, deck chairs, etc. 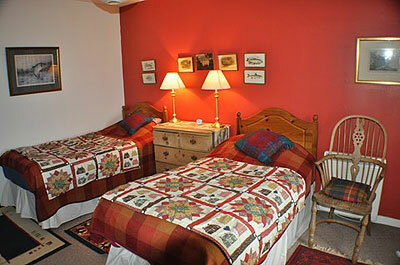 Guests are asked to provide thier own bed linen and towels. Adults only, Pets welcome by arrangement. There is one field in front of the cottage at present set aside for corncrakes. At the rear runs the road and woodland and then dramatic cliffs rising 2-300 ft.
At Gribun we have easy access to MacKinnon’s cave and the Wilderness. There is also a white sandy and safe beach. If you wish to see the wildlife that our visitor Mr Edward Cotterall was able to photograph while staying at the cottage during Christmas 2014, >>> please click on this link. On disembarking the ferry (Craignure or Fishnish), turn right (A849). On entering Salen, turn left at church (signposted Gribun). head for Gribun – Staffa cottage is first cottage on right after postbox. Gribun is 11 miles from Salen with its shops, hotel and post office and can be reached in half an hour. A non-refundable deposit of £50 is requested on booking.